People in Calgary who like their veggies to be more than a side dish might already know that some of the country’s best vegetarian-friendly menus are being created right here in Cowtown. People in Calgary who like their veggies to be more than a side dish might already know that some of the country's best vegetarian-friendly menus are being created right here in Cowtown. 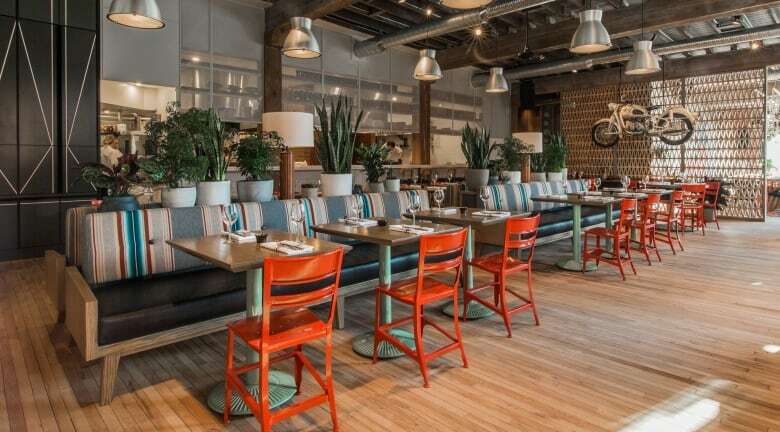 A list published this week by the online restaurant reservation app OpenTable says Calgary boasts five out of the top 50 best restaurants with vegetarian options in Canada. "There's a real change in the dining industry in that vegetarian options are an increasingly standard part of menu planning. 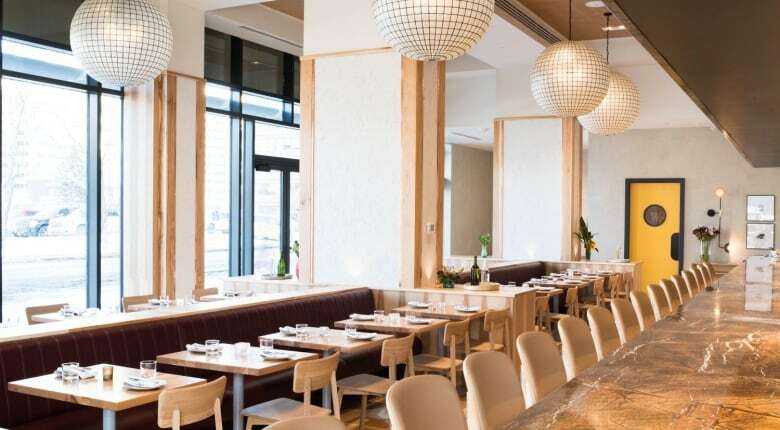 There are many incredible restaurants with diverse plant-based options, but without insider knowledge, it can be challenging and time consuming to find them," said OpenTable's chief dining officer, Caroline Potter. "There is no reason why being, or loving, a vegetarian should limit dining options or experience. We are excited to share this list, showcasing Canada's gastronomic and multicultural diversity in our vegetarian restaurants from coast to coast." The list was generated from more than 550,000 restaurant reviews collected from verified OpenTable diners between Sept. 1, 2017 and Aug. 31, 2018. "Cooking with vegetables, I just really enjoy it. It's very bright, flavour-wise," said Bridgette Bar's chef, J.P. Pedhirney. Pedhirney says his menu puts the spotlight on vegetables — it's roughly 50-per cent vegetarian friendly at the moment, with about a quarter of that suitable for vegans — partly just because of the great variety and quality of the produce available in Calgary. "Our menu is set to really focus on seasonality," he said. So, the kitchen might create an asparagus dish when that's in season, and then come up with a new take on squash or cauliflower when they're looking best. Pedhirney said customers have really taken to Bridgette Bar's veggie creations. "It just became a very popular part of our menu, so we just started growing it from there," Pedhirney said. One dish diners can't seem to get enough of are the eggplant fries with green harrisa yogurt, he said. Calcutta Cricket Club chef Rene Bhullar says his menu wasn't really designed to be vegetarian-focused, per se, but it has a lot of plant-based choices by virtue of Indian culture. "The majority of people in India really don't eat a lot of meat," he said. Bhullar says the menu is focused on the foods of the west Bengal region in India. "But I'm Punjabi, so there's a lot of Punjabi influence, in the menu, but it's typically Bengali cuisine." Bhullar says while his menu doesn't naturally lend itself to vegan options — given the importance of cheese and yogurt in Indian cuisine, for example — he can adjust. "But if that's the choice people want to make, then I can definitely accommodate that," he said. Bhullar said the most popular dish at Calcutta Cricket Club is his cauliflower and potato curry. "Pretty much every single region of India has a version of cauliflower and potato curry. Everyone eats it at home, like, my mom used to make it all the time. Anyone from India would recognize that dish," he said. Donna Mac co-owner Amy Turner says the restaurant's vegetarian friendliness arose partly from her own personal circumstances. "I ended up going vegan about six months before we opened," she said. 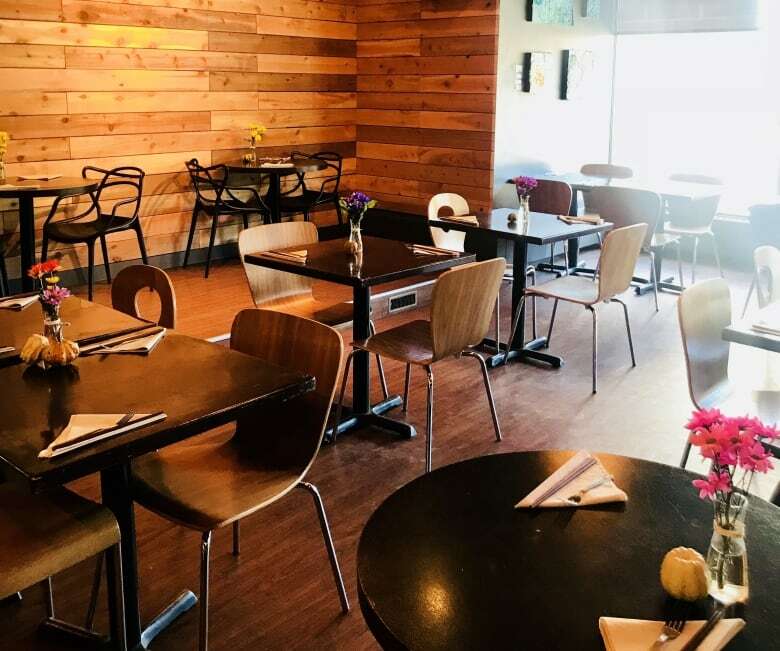 Her business partners, including chef Justin Longpre, embraced a commitment to ensuring Donna Mac would always include menu options not just suitable for vegetarians, but also at least one dish for vegans, gluten-free diners and people with nut or dairy allergies. "We said, let's make sure that there's something without modification that everyone can eat," she said. Turner said the menu constantly evolves, but right now it's about 40 per cent vegetarian, with three or four vegan options. The most popular item — among vegetarians and meat eaters alike — is the fried cauliflower with pimento cheese whip. "It's the number one seller," Turner said. 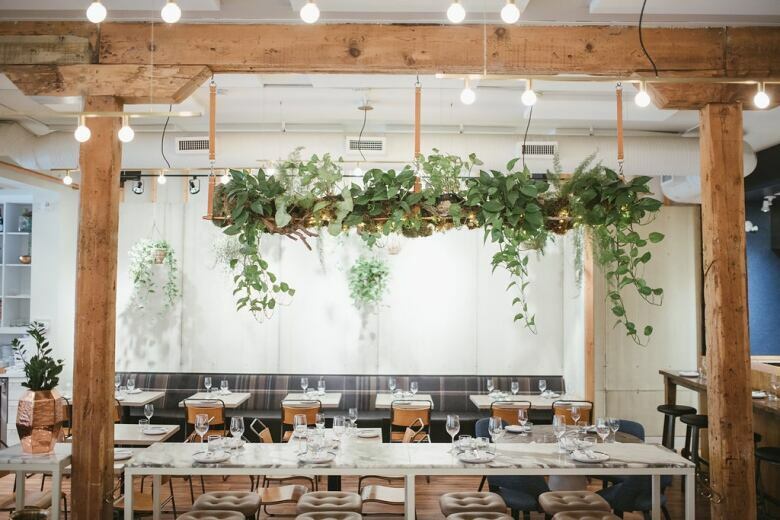 At Ten Foot Henry, 80 per cent of the menu is vegetable focused, says chef Stephen Smee, who owns the restaurant with his wife, Aja Lapointe. Traditionally, restaurant menus have tended to treat vegetable dishes as accompaniments to the meat or fish-centred dishes, he says. "We wanted to flip that script," Smee said. The popular Beltline restaurant's sharing-plate menu can also accommodate people who follow a vegan diet, he said. "With a quick modification of a couple of the sauces, most of the menu can become vegan friendly," he said. Smee says, as a chef, he finds cooking primarily with vegetables is a rewarding way to cook, partly because he has to go beyond classic technique and find innovative ways to bring out flavours. "It's kind of interesting to break through new barriers," he said. At Koi, pretty much the whole menu is vegetarian friendly, says owner Erin Penosky. It features curry and noodle bowls that have vegetarian options, as well as salads and a kimchi rice bowl. "Our soup of the day is always vegan and gluten-free," she said. "So, we definitely cater to that demographic of people more so than most other menus, that might just have one or two things," she said. One might guess that turning out a lot of plant-based dishes would be good for the profit margin, and Penosky admits that can be true. "But on the other side, like, tofu, and seitan and jackfruit and all these things that people are using as meat alternatives, can also be pretty pricey," she said. "It's not always the cheaper option. But, on our menu, the vegetarian options are always a little bit cheaper." Penosky says Koi's Asian black bean burger is one of the best in Western Canada. "I love our vegan black bean patty, it's so good. I'm not a vegetarian or a vegan, and I will have that over a regular beef burger any day," she said.